Finally, braces don’t have to be associated with bulky metal smiles and awkward teenage years. Today, other options like ceramic braces are clear and comfortable, while still aligning your teeth and giving you the smile you have always wanted. Ceramic braces are the perfect combination for those who want to straighten their smile without attracting tons of attention. Dr. Matthew Milestone of Milestone Orthodontics is here to explain what ceramic braces are so that you can make an informed decision as to whether or not ceramic braces near Caldwell, NJ are the right orthodontic treatment for you. Ceramic braces, also sometimes referred to as clear braces, are braces which are made of a clear, ceramic material. One of our friends at Milestone Orthodontics says that this material is used because it is supposed to match the color of your teeth to make it look like nothing is there. 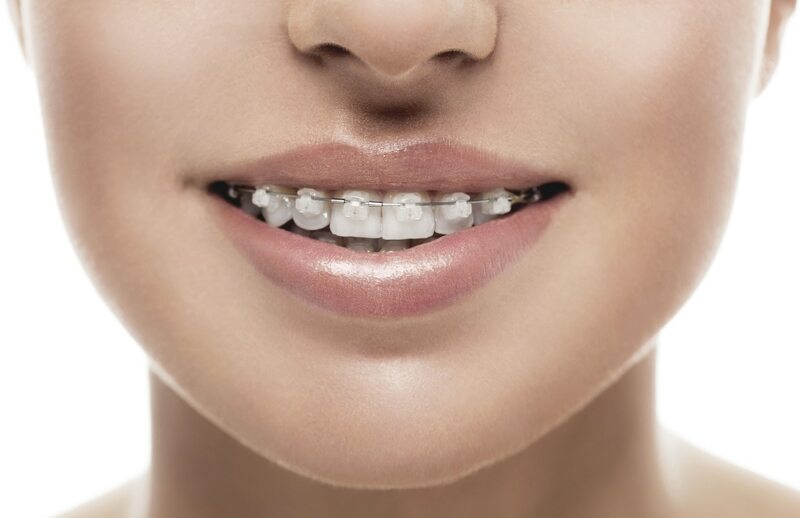 They are attached to the front of the teeth in the same way as traditional metal braces; each bracket is connected to a tooth and connected to the other brackets by a wire which is continually adjusted to achieve the desired result. However, one major difference between ceramic braces and traditional metal braces is that because of their material, ceramic braces are more fragile and do require a bit more care. Ceramic braces are different from Invisalign because Invisalign is removable, while ceramic braces are permanent in your mouth for the length of your treatment, unless otherwise noted by Dr. Matthew Milestone. A Milestone Orthodontics associate mentions that ceramic braces offer many advantages over other orthodontic systems. First, they provide a virtually invisible way to correct all kinds of cases from overbites to crooked teeth. This specific treatment has more advantages than Invisalign because Invisalign, while clear as well, can only treat specific, less severe cases. Additionally, Invisalign aligners are removable and therefore more prone to being lost or misplaced. Ceramic braces, however, are permanent and therefore cannot be lost. Finally, another advantage to ceramic braces is their material. Because they are made out of ceramic and not metal, there is no metal to cause painful poking and prodding. Ceramic braces near Caldwell, NJ range in price. Dr. Matthew Milestone works with each patient individually to create a customized treatment plan that will work with the patient’s needs. Generally speaking, ceramic braces cost around the same as traditional metal braces. If cost is an issue, Dr. Matthew Milestone and the team at Milestone Orthodontics can work out an individualized payment plan so that you receive the perfect smile at the end of your treatment. Milestone Orthodontics also accepts a number of insurance plans. Ceramic braces are a perfect alternative for those who want traditional metal braces without the bulky metal. Dr. Matthew Milestone of Milestone Orthodontics near Caldwell, NJ wants to make sure that you receive the smile you’ve always dreamed of. For more information about ceramic braces or to schedule a consultation with Dr. Matthew Milestone, please visit our office or call 973.325.1777 today!